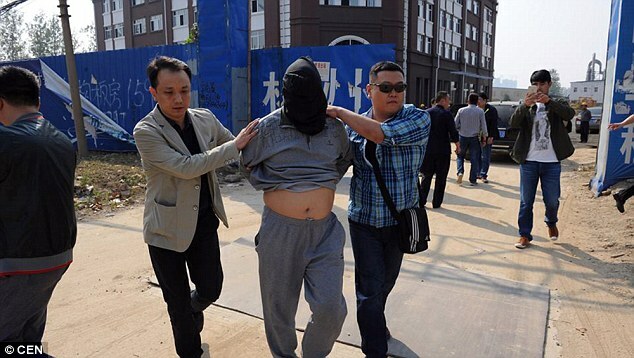 How Chinese Billionaire Shi was arrested after 16yrs bank robbery! This is truly an incredible story,for sure it will be turned into a Hollywood movie one day. A powerful property tycoon in China has confessed to robbing a bank 16 years ago and using the money to start up his massive empire now worth billions. undercover police investigators rushed to the Zhumadian, Henan province, and arrested five suspects including billionaire Shi. Chinese billionaire Shi, is said to be well known in Zhumadian for being an extremely powerful and successful property tycoon. He runs a number of businesses including industrial real estates, development and trade companies, and leisure farms. All earning him a fortune. As well as property, he has billions invested in local businesses and often hosts regular charity events. All of this has influenced the community he lives in. After he was arrested, Shi admitted to breaking into the bank armed with four suspects and stealing the money 16 years ago. Then for three months leading up to the raid they hatched a plan to rob the bank which included a well-designed escape route. Doing so they seriously injured a man was shot in the head and left in a pool of blood, and a woman. It is unclear what happened to her. The whole process which involved the suspects dressed as business men took just five minutes. It was a case that shocked the whole country as no one has ever been arrested since it took place in 1999. Many of the investigators working on the case are now retired but they never gave up. From a list of 158 suspects they eventually narrowed it down to five.16 years later the Zhengzhou City Public Security Bureau held a press conference to confirm the mystery of the 1999 bank robbery had successfully been solved. A vital piece of evidence in the investigation was a hammer that was used to brake the bullet proof glass during the raid. The police managed to track down its manufacturer which led them to a market in Zhengzhou where they were sold. 24 had been bought in the time leading up to the robbery. 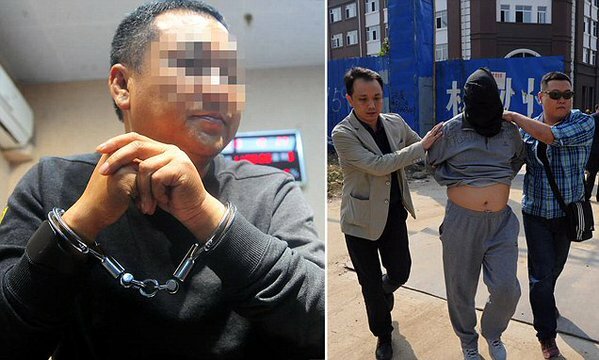 Investigators tracked down the whereabouts of 16 hammers which left eight unaccounted for, which eventually led them to the five suspects.The authorities in Zhengzhou said Shi - a construction project contractor who regularly hosted charity events - claimed most of the money from the robbery and used it to develop his real estate in the southern Chinese city of Zhumadian, earning him billions. Knowing the Chinese,the billionaire will probably get a ridiculously long sentence in jail.Undoubtedly he should go to jail,but should the employment he has generated and all his good work to society be considered?And will he lose all his property and billions? It's a tough one,but in a sick way,i find it commendable that he was able to turn that money into billions.Many other people would have spent it all on nothing. Well,Shi can console himself for living the life of a billionaire for 16 years.